In November 1959, the shocking murder of a smalltown Kansas family captures the imagination of Truman Capote. With his childhood friend Harper Lee, Capote sets out to investigate, winning over the locals despite his flamboyant appearance and style. When he forms a bond with the killers and their execution date nears, the writing of IN COLD BLOOD, a book that will change the course of American Literature, takes a drastic toll on Capote, changing him in ways he never imagined. 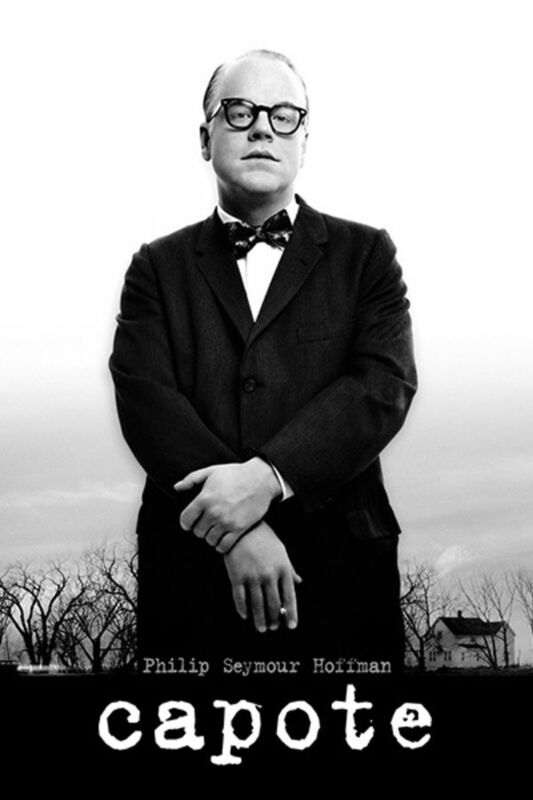 Phillip Seymour Hoffman won Best Actor for his powerful portaryal of the legendary author Truman Capote. After the horrific and senseless murder of a family of four in Kansas, Capote and his partner, Harper Lee, travel to the town to investigate. Philip Seymour Hoffman delivers an engrossing performance as Truman Capote, during the years that Capote researched and wrote his true crime novel 'In Cold Blood'. Catherine Keener as Harper Lee is the other character you're always hoping to see more of, but the whole cast is fine and the story is always compelling.